Every month brings about a day for holiday recipes beginning with the first month of January and the first day of that month. It might be an official holiday of our countries or it could be some type of special occasion for family and friends. Whatever the occasion, each one will come to life with extraordinary recipes often forming memorable traditions. There are many options when entertaining for festivities. Recipes might be for very small family get together, they could be for larger families or they might be for crowd size. Especially at the end of the year, from the Christmas season to New Years Eve we might partake in some huge celebrations with our work, church, family and friends. When we entertain for the very special occasions we have choices to whether our holiday recipes will be served on grand buffets or simple suppers. As hostesses and hosts we want to feel free to express our own favorite recipes and talents. Today we have all the ingredients, appliances, utensils and special dishes to create and display our own unique presentation no matter how elaborate. 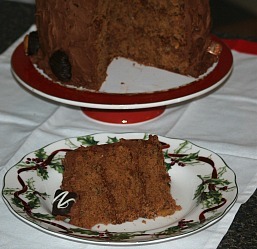 Holiday Gift Recipes can be easy, economical and a great way to share a holiday or special occasion. 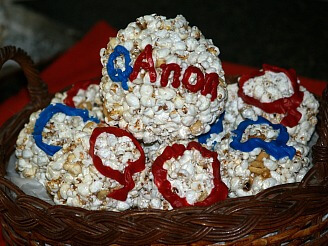 Homemade Food Gifts are wonderful any time of the year and truly from the heart. 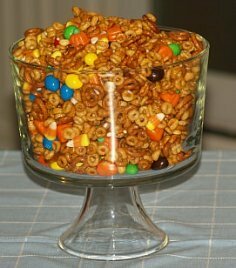 ﻿How to make holiday snack mix recipes﻿. There is sure to be a recipe to please every party goers taste! I have always looked at the first day in January, New Years Day as a reprieve from the long days of holiday preparations and events. The main happening of this day was centered on our traditional New Year’s Day dinner; sauerkraut and pork, mashed potatoes, salad, vegetables, all kinds of side items like bread and rolls and lots of desserts. 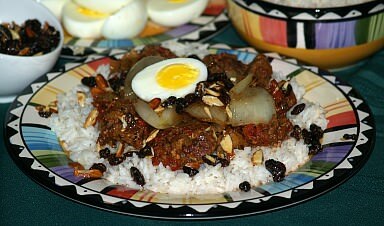 Like most people, I think these holiday recipes are many traditional foods of our heritage. As we all cooked and prepared dinner, the only other event was the New Years Day football game on television which the men couldn’t stay away from. Plan a New Year's Day Menu. 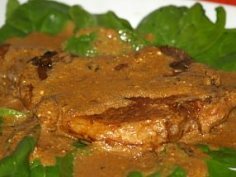 Prepare a spinach Romaine salad, holiday potatoes, pork chops with sour cream, blue cheese baked dip, fried fish, cheesy biscuits and ham, chocolate fudge, pineapple dessert and date bars. 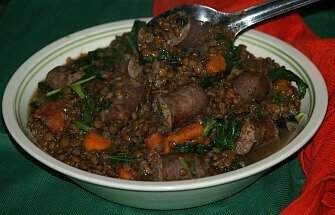 Traditional Italian recipes for New Years like sausage and lentils, eggplant Parmesan, fried ravioli and a jam tart recipe. My family celebrates with traditional German recipes for New Years Day. New Years resolutions are made the first of every year but are mostly never kept. New Food Trends are leading to more home cooking and saving money on the foods you eat. Appetizers for New years Eve, be creative with you holiday recipes. Make interesting shaped sandwiches, turkey mouse or miniature ham puffs. The big news of February was whether the groundhog saw his shadow and if we were going to have six more weeks of bad weather. Valentines Day has really grown over the years. At home it was not a big day when I was young but in school we always had Valentine’s Day parties with candy and everyone gave each other Valentines. On February 29 when we had a Leap Year, that was fun for those celebrating birthdays every four years. Whether or not the groundhog sees his shadow we still need to know How to Make a Heart for Valentines Day. 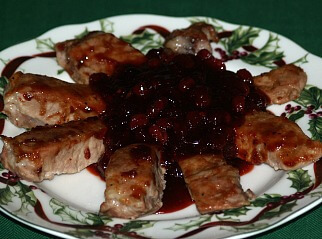 Many couples enjoy a Romantic Valentine Dinner for this special day. There are all kinds of parties and gatherings for the Valentine Celebration. A heart shaped Valentine Cake Recipe is a good way to end a great dinner. Make fabulous Valentine's Day food: cottage pie recipe, individual brownie Alaska, red velvet sheet cake, fresh lettuce salad, chocolate ice cream confetti balls, steak Diane, chocolate hearts, Italian roast lamb, heart sandwich cookies, ham and potato cake, vegetable side dish and Parmesan chicken tenders. A Special Valentines day menu is a good way to celebrate the occasion. 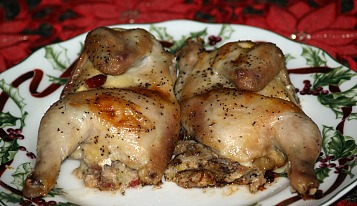 Great holiday recipes from chicken to beef for Valentine Dinner Recipes; simple and easy to make. 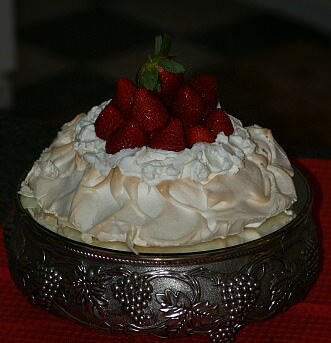 Try a simple Valentine Dessert Recipe like cookies or choose one a little more elegant like a Pavlova! 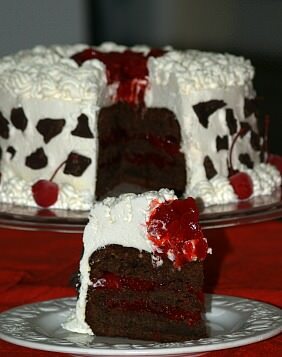 Great Valentine Cake Recipes to celebrate this special day; pink cherry cake, chocolate and more. Valentine Cookie Recipes are always popular to celebrate this day; cut in heart shapes and decorate in pretty colors. 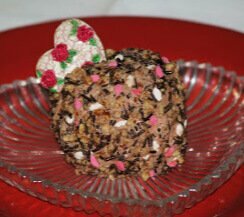 Valentine Cupcake Recipe is so easy and easy to serve; choose from a variety of flavors. All kinds of Valentine Day Dessert Recipes help to celebrate the occasion. 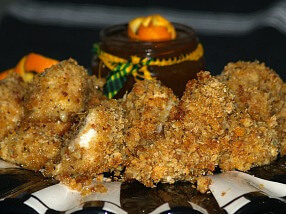 Easy Valentine Recipes for entrees and desserts; all with delicious flavor. Valentine Recipes For Kids to prepare for your children’s parties and some they can help make for the celebration. Make luscious dessert recipes for Valentine's Day like a Strawberry Cake, Cherry Chocolate Tart or a Raspberry Truffle. Unless Easter happens to fall in March the highlight of the holiday recipes for me has been centered on St. Patrick’s Day. I have no Irish in me, but I do love the Irish foods such as good corn beef and cabbage recipes and colcannon recipes. The making of the green shamrock cookies has always been a part of my holiday recipes. 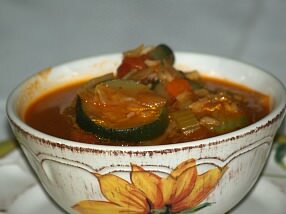 Lent recipes are very popular every year; for some people it lasts for forty days with a restrictive diet. Prepare traditional Irish foods like the following: Irish whiskey steaks, barmbrack fruit rolls, Irish coffee sauce recipe, corned beef brisket, bubble & squeak, soda bread, stew with dumplings, Dublin coddle and rhubarb pie. Choose from cookies, fudge, and quick bread for Irish Snacks For St Patricks Day or try a good Irish potato appetizer. St Patricks Day Irish Cuisine could be lamb chop stew and soda bread, great Irish scones or a pretty shamrock cake made with Jell-O. Celebrate St. Paddy's Day or enjoy everyday these delicious Irish food recipes! These holidays of celebrating the crucifixion and resurrection of Christ have always been very important in my life. I enjoy preparing our traditional holiday recipes for these celebrations: usually a ham dinner, all the trimmings and hot cross buns. 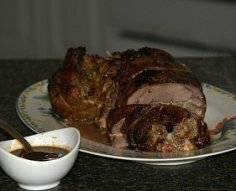 Stuffed Leg of Lamb Recipe is enjoyed all over the world as part of holiday recipes; especially for Easter and Christmas. Prepare fabulous leg of lamb recipes! Make a leg of lamb with hunter sauce, a roasted leg of lamb, butterflied with an orange sauce, roasted with a raspberry glaze, mint sauce with leg of lamb, mango salsa with leg of lamb, marinated with gravy and a recipe made with anchovies. 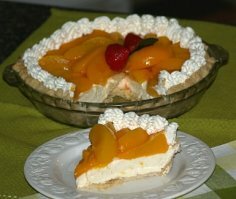 Some countries celebrate this Easter holiday with special Pies ; French silk pie, cheese pies or plum pie. 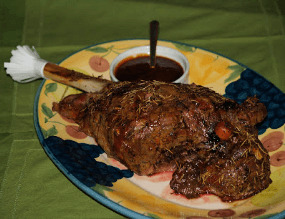 Make delicious lamb shank recipes for Easter. 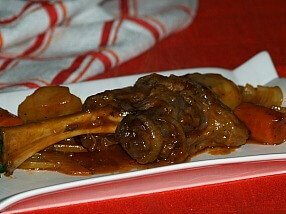 You will find eight wonderful lamb shank recipes. 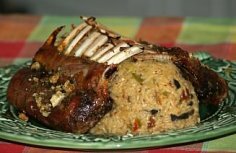 Learn how to cook rack of lamb recipes like a Greek style, mint and honey flavored, orange marmalade basted, a French cut and an Italian inspired recipe. 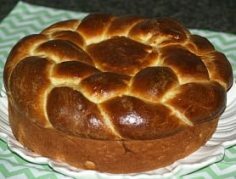 Most countries celebrating Easter have their own traditional Easter bread recipe; there are many egg recipes, stolen recipe, paska recipes or tsoureki recipe in Greece. 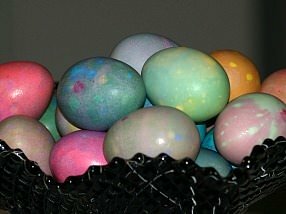 Coloring hard boiled eggs with Easter egg dye is a tradition which is practiced in many countries each year. 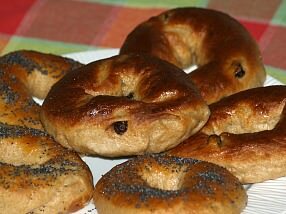 Although bagels are good to make year round, many learn to make bagels for Easter and the Jewish holidays. Special Easter dinner menu recipes of crab dip, Russian bread, horseradish carrot casserole, lamb rolled roast and a beautiful flower cake centerpiece. Easter Breakfast Recipes should be special for this special morning; recipes for ham and cheese crescents, my favorite apricot bread, potato pie, banana salad, orange French toast and lemon scones. Easter Recipes for Children; “EB POOPS JELLY BEANS” cake, peanut butter cup cookies, egg shaped cookies and rabbit salad appetizer. 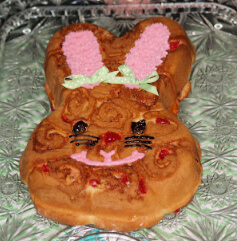 Italian Easter Recipes; antipasto salad, cheesy Italian dressing, veal scallopini, new potatoes, Italian Easter bread. Easter Menu Recipes; Asian mushroom soup, roast beef tenderloin, cream cheese mashed potatoes, gourmet potatoes and lemon blueberry pie. Easter Treat Recipes; fruit and nut Easter eggs, Easter chicken nests, wacky cake, quick pour fondant, orange muffins and soft pretzels. Make an Easter traditional recipe; Simnel cake from England, Potica cake from Slovenia or a Milk Pie from Greece. Make special cakes for Easter with festive shapes like an Easter basket, an Easter bonnet or an elegant Marzipan covered cake. 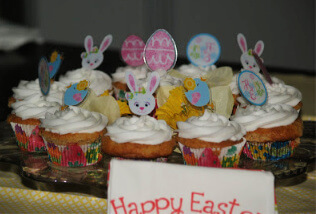 Make festive cupcakes for Easter. Make beautiful Easter cookie recipes like molded sugar cookies, brownie cookies, butter cookies, lemon cookies and Greek Easter cookies. Easter Cake Recipes; a Greek cake, fig cake, Black Forest and other cakes are good for Easter. Make cute large Easter bunny cakes! These recipes are made into a large Easter bunny shape. Use a bunny mold pan or use two eight inch round pans then decorate. Learn how to make a bunny cake. 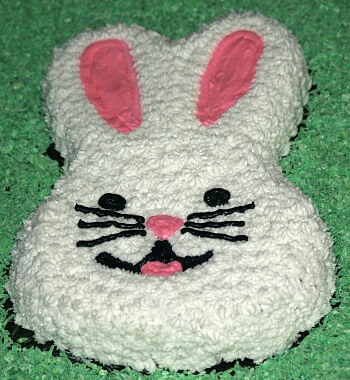 Make a bunny cake in a loaf pan, 8 inch square pan or a bunny mold. 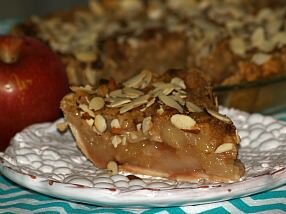 Make an apple cake, coffee cake, hot milk cake, cassata rum torte, sweet potato cake or a cappuccino torte! Make the best Easter cupcakes: spice cupcakes, cottage cheese raisin cupcakes, chocolate cupcakes, orange cupcakes, cheesecake cupcakes, blackberry swirl cupcakes and easy cream filled banana cupcakes. 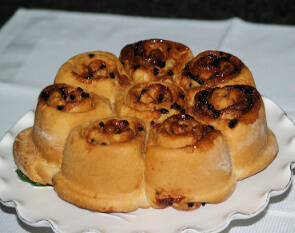 Prepare delicious buns for Easter such as a Chelsea bun, raisin cinnamon rolls, white chocolate macadamia buns, German buns, orange sticky buns and orange pecan buns. Learn how to make the best Easter recipes! Many traditional Easter Recipes are enjoyed by families year after year. Learn How to Make Marshmallow to shape those delicious soft marshmallow Easter eggs. What is the Resurrection? Learn what it is all about and the foods we celebrate with. With a couple cake decorating tips and bags you can make beautiful Cakes for Easter. Hot Cross Buns are the most popular at Easter time but they are made with a wide range of recipes. Celebrate the holiday with Easter Brunch Ideas Menu; work well with church services. Quiche Loraine or any type of quiche goes well for Easter especially if serving a brunch or buffet. 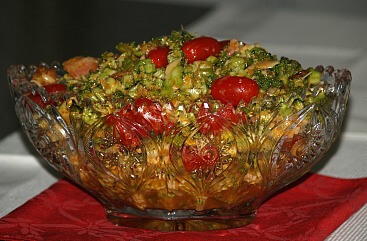 With all the sweets and heavier foods served on Easter it is nice to offer some special Easter Salad Recipes. Easter is a good time to serve French Toast Recipes; a special day deserves something special like this stuffed with fruit and cheese. No matter where you are from, you will enjoy these Polish Easter Recipes. Traditional recipes for Easter in Hungary were passed down by my sister coming from her Hungarian mother-in-law who was a wonderful person and cook. She taught her how to make Easter recipes from her families traditions. 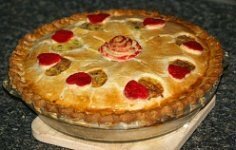 My traditional Easter Dessert Recipes are my cream pies; included here are some of those plus many other great recipes. Of course Mother’s Day has always been important both for my dear mother and as a mother myself. Memorial Day has been and still is important to me. It is a day set aside to remember our loved ones who have gone on to see the Lord. After decorating their graves, we usually had a picnic with our family and friends to celebrate the beginning of summer. 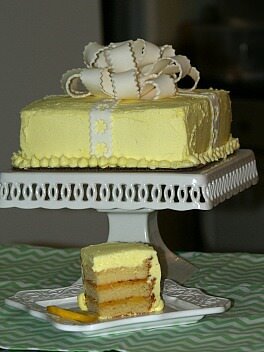 Special meals or pretty decorated cakes make great Mother's Day gifts. Memorial Day Recipes are often lighter spring recipes and most often include delicious cake recipes. May Recipes are special to me because it is the start of summer with several holiday cookouts lying in the near future; fun times like Mother’s Day, Memorial Day, Father’s Day, Fourth of July and Labor Day. I have many good memories of these special picnic days with delicious holiday recipes. This becomes a great time for picnics, whether a celebration for Father’s Day or just one on the weekend. Everyone wants to enjoy the good weather and what better way than an outdoor picnic with family and friends. Fathers day foods remind me of my dad’s cooking; try carrot casserole, pork roast, potatoes au gratin and easy creamy orange cake recipe. 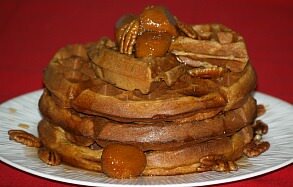 Try making amazing sweet potato waffles for breakfast! This is the peak of the summer season with more great summer picnics. This was always a time when I was young for huge backyard picnics. This was a time for our large family, extended family and friends to gather in our backyard to enjoy good food and visiting. The Fourth of July or Independence Day was a great celebration with a large display of fireworks. Food in red, white and blue helps to celebrate what is Independence Day; always a cake. This was usually the month for our “great” German family reunion; “great” because relatives came from all over. This was also usually the month for my Dad’s company picnic at the amusement park Lasourdsville Lake; that was great fun. It was also the time of preparing for the return to school. The first few days of this month was usually the county fair. When we picked up our grade cards at the end of the school year, we all had free passes to the fair in our cards. When I was young, I won money for my writing at the fair; it would be hanging with a ribbon on the display so I couldn’t wait to get there and see if I had won. Then at the end of the month we celebrated Labor Day. This was the close of summer and everyone switch from wearing “summer clothes” to wearing their “winter clothes” which meant “no more whites”. By October everyone had settled into the school routine. Halloween is still the highlight of this month with the much anticipated parties and for kids, “trick or treating”. This day is truly the sign that fall has arrived and preparations for winter begin. Make a delicious Devils Food Cake in the shape of a cat. Make fabulous food Halloween food recipes: a haunted gingerbread house, a marshmallow fruit salad, chicken nuggets, apple cider punch and macaroni & cheese. 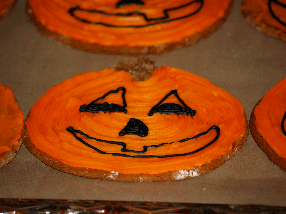 Make delicious Halloween cookies and other fall favorites! 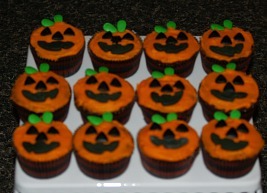 Great ideas for fabulous Halloween treats! Make the best food for a kid's Halloween party. 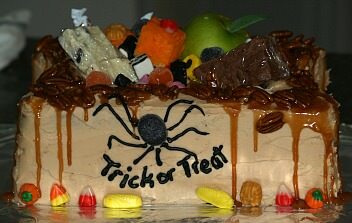 Prepare a festive Halloween caramel cake, bake rolled sugar cookies, make spicy chicken legs and a hot dog appetizer. Add to your holiday recipes fabulous potato skins and rich chocolate cupcakes covered in creamy orange icing! From the beginning of November to close to Thanksgiving, most are making plans for this huge day. Traditional Thanksgiving recipes are usually turkey, stuffing, mashed potatoes and gravy. 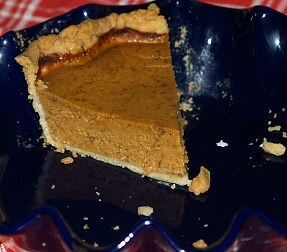 It doesn’t stop there; most homes are laden with all kinds of fresh breads and many delicious desserts like pumpkin pie. 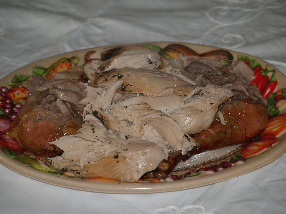 I always include roasted turkey in my Thanksgiving dinner recipes with a variety of many other recipes. 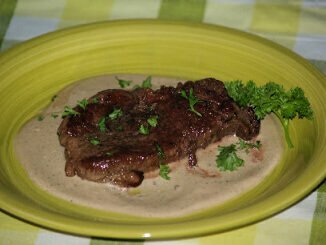 Try a delicious giblet sauce with a sausage cornbread pecan dressing. Try baked Vidalia onions for a side dish and finish with a black bottom pie or a southern pecan pie! Cranberry Recipes for Thanksgiving and Christmas is a tradition since our settlers first Thanksgiving. My mother did her Very Best Baking for Thanksgiving and the holidays. Mincemeat Recipes made from homemade mincemeat are simply the best. 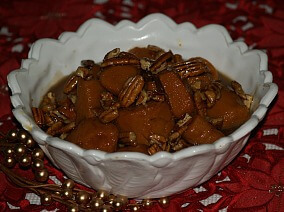 It is so easy to make pretty Thanksgiving Centerpieces from holiday recipes already on the menu. Immigrants brought from many different countries recipes which we now make for Holiday Bread Recipes. Different areas of the country celebrate the holiday with many different types of Thanksgiving Dressing Recipes with turkey. Many Thanksgiving Recipes are traditional ones that we use every year. This entire month is celebrating; first Christmas and then the finale on December 31 is New Years Eve. Parties and Christmas recipes are planned for the entire month. 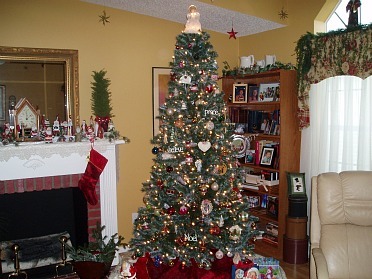 Most spend this month also shopping and wrapping gifts in beautiful Christmas paper. One week after Christmas we close the year with some elaborate New Years Eve parties. 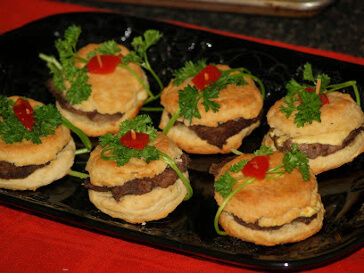 My New Years Eve recipes consist of mostly finger food recipes or appetizer recipes. After this celebration, I kind of unwind for the coming year. Make a traditional Christmas dinner. Find recipes for a Christmas salad with cranberries, a cranberry salad dressing, a Hungarian stuffed chicken, a baked chicken with butter and cream, baked mashed potatoes, Cornish hens. sweet potato souffle, easy dinner rolls, cranberry pudding and zucchini bread. 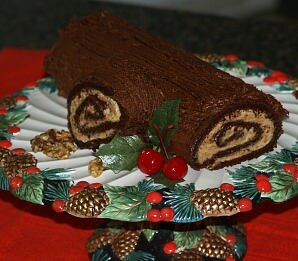 Make Christmas log cake recipes. Chose a cake, filling and frosting or glaze. Make some delicious holiday pie recipes like a pumpkin custard pie, spinach quiche, buttermilk pies, a sweetheart fudge pie, apricot tart, and a blueberry tart. Make delicious Christmas coffee cakes. Make a sour cream yeast coffee cake, blueberry buckle, yeast coffee ring, cranberry crumble, caramel orange coffee cake, apple streusel, Tannenbaum and candy cane coffee cake. Christmas Greetings inspire delicious recipes for Christmas Day! 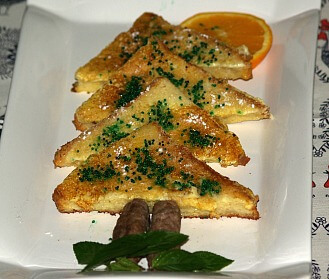 Make a festive French toast in the shape of a Christmas tree. 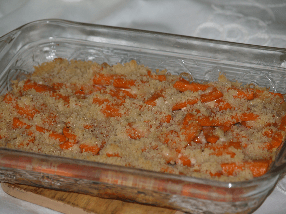 Make a traditional carrot casserole, a cappuccino mix and banana chocolate chip muffin recipe. Holiday Appetizer Recipes from simple to elegant all making a great presentation. 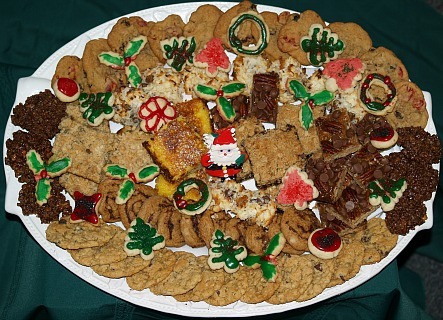 Making Christmas Buffet Recipes is a great way to entertain at Christmas. Great Christmas breakfast ideas! Try these recipes: country fried steak and biscuits, bourbon basted pork chops, scrapple recipe, cherry chocolate buns, shrimp and grits, spicy shrimp and sausage, red beans, rice and eggs, toad in the hole, cornbread breakfast recipe, gingerbread pancakes, toasted ham and cheese mini sandwiches, baked cooking apples and hash brown bake. Make special cakes for christmas like a beautiful poinsettia cake, a winter wonderland, a German stollen, a seed cake, a sponge cake and a fruit cake frosted with an egg white frosting! Christmas Recipes include “non edible” recipes like potpourri. 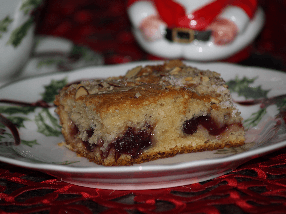 Cranberry Scones are a great addition to Christmas breakfast or brunch. Christmas in Florida like everywhere else includes a lot of good food. Christmas in Orlando is celebrated with the ice show at Gaylord Palms. I appreciate Homemade Christmas Gifts more than something bought. Santa Clause Cakes made in a variety of different styles; make without special pans. 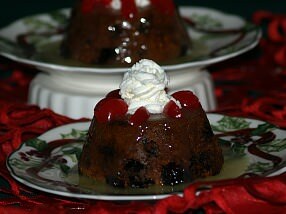 Recipes For Christmas Cakes are made with any type of cake recipe; just decorate to fit the occasion. 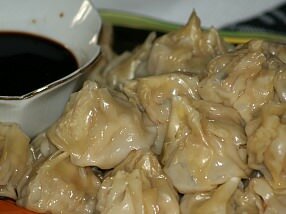 Celebration Foods for New Years Eve as well as any special occasion. Your children will have fun in the kitchen with these kids recipes for Christmas; a cookie cutter wreath, popcorn snowman, cookies and more. Let me share with you one of the Epcot Restaurant at Christmas and the candlelight service. Include in your Holiday Cake Recipes the traditional chocolate mincemeat cake, a delicious pound cake or add a coffee cake to the breakfast menu. 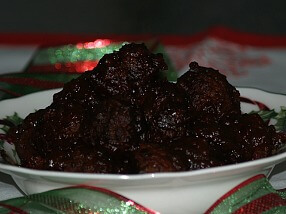 Get some great Christmas food ideas for entree, breakfast, dessert and side dishes! Find out how to prepare a goose, make new potatoes in dill butter, glazed sweet potatoes, herb buttered carrots and zucchini, a breakfast casserole and German Stollen recipe. Find some fantastic Christmas menu ideas for your dinner. 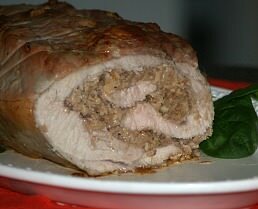 Prepare a stuffed Cornish hens with cranberry dressing, an easy goose recipe or a beef wellington. Discover some great Christmas Gift Food Ideas like goat cheese wafer, pasta and bean mix or a cookie mix. Make your Christmas Food Gift Baskets special with these heart warming recipes. 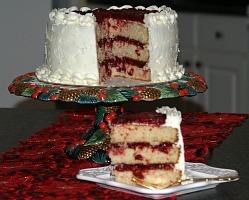 A red and green checkerboard cake or a Spumoni cake are perfect Christmas gift foods. Customize your food gift baskets to who ever will be receiving it. This basket includes barbeque beef, homemade buns and fresh tomato salsa with chips! 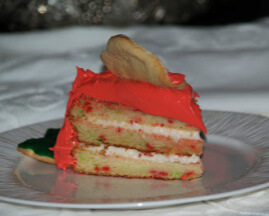 Peppermint Cakes make delicious and festive Christmas Desserts. 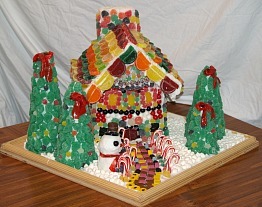 Making a Christmas Candyland is a great family activity to do at Christmas time. 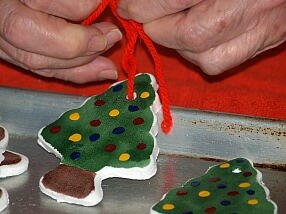 Make special festive Christmas Cakes. Interwoven throughout each month of the year, we all have special people in our lives celebrating special occasions. We might be celebrating our family members’ birthdays, special weddings, special anniversaries, graduations or communions. Whatever it is it usually involves good food and special holiday recipes work well for all of these.